Inconel 718 is a precipitation hardened Nickel based super alloy that offers outstanding high temperature corrosion resistance properties. Commonly used in aerospace industry , Inconel alloy 718 offers elevated temperature mechanical strength as well as fine ductility up to 704oC/1300oF. It is non-magnetic in nature. Nickel based super alloy 718 offers good resistance to oxidation and other types of corrosion in space jet engine and land based gas turbine applications. It is an ideal material for applications that demand excellent resistance to creeping and stress corrosion cracking up to 982oC or 1800oF. Alloy 718 fully prevents pitting and crevice attack in sulfides, chlorides, carbon dioxide and other hostile environments. Inconel alloy 718 is commonly used in forms- Inconel 718 wire, Inconel 718 bar and Inconel 718 plate. 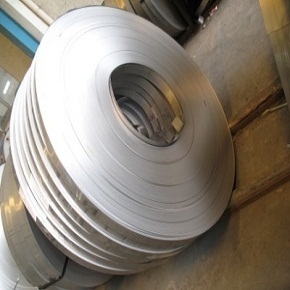 We supply the high grade Inconel 718 wire at the affordable price. The Inconel alloy 718 wires are made available in various diameters ranging 0.03 mm – 12 mm. 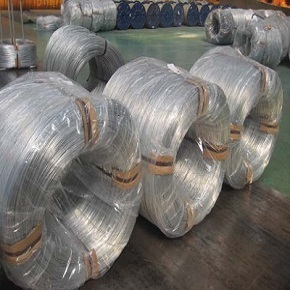 With the help of extensively experienced group of experts and use of advanced machinery, Heanjia supplies the best quality Inconel 718 wire to customers. Other Inconel grades available in wire forms are: Inconel 600 wire, Inconel 601 wire, Inconel 625 wire and Inconel X750. 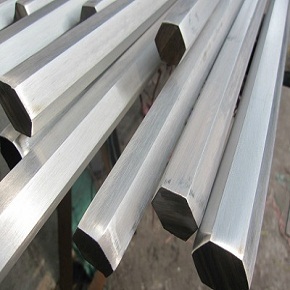 Inconel 718 bars can be cut to any size to meet your fabrication and design needs. The Inconel bars are a popular choice among many industries; they are used in hot extrusion tools and components for example casings, bolts, fasteners and equipment parts. Inconel 718 bars and rods are widely used in turbines, rocket fuel components, combustion engine components, and well head parts etc. Other Inconel grades available in bar forms are: Inconel 600 bar, Inconel 601 bar and 625 bar. Inconel 718 plate is developed in specifications – widths up to 1500mm and lengths up to 3000mm. Inconel alloy 718 plates delivered by us are accepted by customers in the various industrial sectors such as paper, sugar, textile, engineering, oil and gas, petrochemical plants and fertilizers, power production and nuclear industry. With experience of decades in supplying Super Metal Inconel 718 plate, we offer the high quality, economical and the best performance products. The whole processing is governed by our regularly audited units. Aerospace/aeronautics engineering, rocket motors, thrust reversing devices, marine, chemical treatment units, pressure vessels, pollution control systems and nuclear power production reactions, cryogenic storage containers, high strength bolts and hot extrusion tools, turbine engines, fasteners, fuel and exhaust systems. Inconel grades are fit for use in the production of components that are employed in the severe environments such as turbocharger rotors & seals, motor shafts for electric submersible well pump, steam generators, tubes for heat exchangers, firearm sound suppressor blast baffles and in machine guns, black box recorders in aeroplanes etc. Inconel 718 has good impact properties even at the very low temperatures up to -423oF or -253oC. It is easily weldable without toughening or cracking. It can be easily worked and age hardened. Alloy 718 is soldered in solution annealed temper, however it can be aged and cold processed or cold processed and aged. Inconel 718 age hardens during heat processing. It has austenitic grain structure at the wide ranges of temperature. Different solution and age processing methods are followed while heat treatment of this alloy to enhance its short or long term high temperature mechanical characteristics. Shaping and machining of Inconel 718 is complicated with conventional methods because of its quick work hardening. Subsequent to initial machining pass, work hardening causes deformation of material or tool during the following passes. Therefore alloy 718 is machined with hostile and mild cut hard tool that reduces the count of required passes. It ultimately offers to machine the material in a solution form that only requires the final steps to be followed subsequent to age hardening. Plate cutting is usually performed by using waterjet cutter. Selective laser melting process is another common method for the production of alloy 718 components. Due to risk of fracture and microstructure segregation of alloy elements, alloy 718’s welding is a challenge specifically in the HAZ (heat affected zone). It is ideally welded by gas tungsten arc welding and electron beam welding.